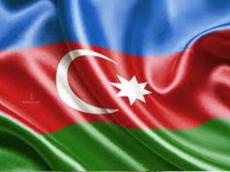 An event dedicated Solidarity Day of Azerbaijanis of the world will be held in Washington D.C. on December 27. The reception also marking the upcoming arrival of the New 2013 Year will host members of Azerbaijani community in D.C. and surrounding areas, officials from the Embassy of Azerbaijan Republic, guests from academic institutions and think tanks in the District of Columbia. Live Azerbaijani music will be one of the features of the evening. The celebration, which is organized by the Washington Center for Azerbaijani Studies, will be held at the Fairfax at Embassy Row Hotel.